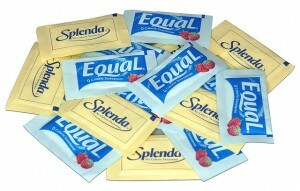 Artificial Sweeteners: Safe or Sweet Misery? Have you ever drunk a zero-calorie soda or eaten a sugar free dessert as a “healthier” choice or perhaps to even “cut calories”? If you’re like me, you have probably begrudgingly done this numerous times, maybe even at the request of your mom, despite your desire for that sweet snack. Well, new research has been conducted that suggests that the artificial sweeteners used to substitute sugar actually increase blood sugar levels-the exact condition they aim to avoid. A study conducted by biologists, Segal and Elinav, of the Weizmann Institute of Science in Israel, showed that after 11 weeks of drinking water with the sweetener Saccharin, commonly found in Sweet’N Low, mice had higher glucose levels in their bloodstream, a symptom of diabetes. Additionally, the scientists conducted another experiment with seven volunteers who were given the maximum approved daily dose of saccharin for a week. This time Segal and Elinav found that four out of the seven subjects developed an unbalanced glucose metabolism similar to that of the mice. 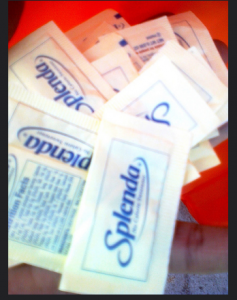 From this experiment, the scientists hypothesized that artificial sweeteners negatively affect our bodies and may promote disease. Although these results are preliminary and are largely reflective of mice’s digestive systems rather than humans, the study raises a valuable caution for consumers to reassess their actions. As the science community continues to explore this study, are you going to continue consuming foods with artificial sweeteners. The Ebola Epidemic: When Will it End? 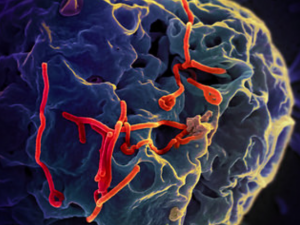 The Ebola epidemic in West Africa has captivated international audiences the last few weeks. Ebola Virus Disease is an often fatal disease which is systemic meaning it attacks all organs and tissue in the body. It can be spread through any human to human contact, making this disease highly contagious. The countries of Liberia, Sierra Leone and Guinea have been heavily affected by this disease. On tuesday September 23th the Center for Disease Control (CDC) based in Atlanta Georgia released new projections on the Ebola epidemic in Africa based on computer modeling. The CDC released a best-case scenario being that if proper measures are taken the disease could be eradicated by January 2nd and a worse-case scenario that if disease is left unmonitored and continues as is, there will be approximately 1.4 million cases by January 2nd. Doctor Thomas R. Frieden, the director of the Ebola epidemic, has stated that since the data was received in August conditions have improved slightly due to increased aid to the affected regions. Another report was released by the World Health Organization (WHO) which stated more conservative figures but also acknowledged that there could possibly be more due to unreported cases. The WHO report brings about the idea that the epidemic may not end and the Ebola virus will perpetuate in West Africa. It is obvious to health officials, such as Dr. Jack Chow, that even in a medium case scenario the amount of hospital beds and aid are rapidly being surpassed by the number of cases. The CDC does acknowledge this impending lack of bed and isolation unit crisis. One solution to this problem is to educate citizens on home care and send home care packages to support this movement. Although some are dubious, Frieden states that home care had been effective in the smallpox crisis in the 1960s in Africa. In addition to homecare, Doctor D. A. Henderson explains that funds and food play a huge roll in the containment and elimination of disease because when you give victims money and food there is no need for them to beg or go out to the market for food where they might encounter other human contact. How should this epidemic be handled? Is homecare an effective solution? Where should money be allocated, homecare or hospital expansion? Genetic mutation testing has been a hotly debated and controversial topic since its initial prevalence in 1990. Originally genetic testing was used to test females who have cancer in their family history for the BRCA 1 and 2 gene mutations. Early detection of these mutations allowed for precautionary measure sure to be exercised prior to cancer even being diagnosed. The hereditary breast cancer risk testing was done mainly by Myraid Genetics but just last year the Supreme Court invalidated Myraid’s patents on the testing of the BRCA genes. This ruling opened up many windows for the competition of Myraid in the field of genetic testing. Many other companies and Myraid itself began not only offering BRCA testing but also more elaborate multi gene testing for the same price (apron $4000) as it would have been to test just the two BRCA genes. This “bargain” influenced many patients to have more genes (up to 25) tested for mutations despite the fact that they may not have a family history to tendency towards certain cancers. This multiplex testing has raised many eyebrows in the medical field because patients and doctors are getting information that sometimes they are unsure as to what they should do. Doctor Kenneth Offit of Memorial Sloan Kettering Cancer Center stated when referring to multiple gene mutation testing, “because they could be tested,not necessarily because they should be…individuals are getting results we’re not fully educated to council them on. ” However Memorial Sloan Kettering Cancer Center is working on setting up a database for more knowledge on genetic testing. This online forum, the Prospective Registry of Multiplex Testing (PROMPT) will allow for more research to be done and for patients to learn more. Often genetic mutations are found and doctors are unsure how to react to the information due to lack of knowledge in that specific field of mutation leading to a specific type of cancer with out any family history. Professor Mary-Claire King of the University of Washington voiced her opinion that, “We need to report back only what is devastating and clearly devastating.” Meaning she felt that patients and physicians should only receive specific information as opposed to a full list of all the genetic mutations that tested position or inconclusive. 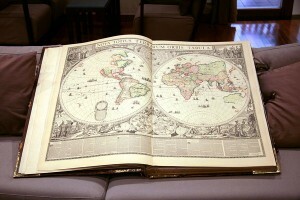 When do we know when to much information become frivolous? When it come to human health, the more we know the better the outcomes. 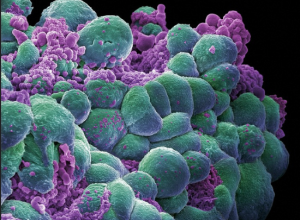 How will doctors be able to sift through extraneous data to find what truly are indications for higher risk of cancer? Is this “extra” testing and information skewing the data and prognosis of many patients? When people consume artificial sugars, they are usually doing so instead of consuming regular sugar. Scientists have studied the artificial sugar Saccharin in mice and some humans, and have recorded that intaking the sugar leads to obesity and Diabetes. Although the research is relatively recent, scientists recorded that 4 of 7 people with high Saccharine intakes have experienced impaired glucose metabolism, which is a symptom for Type II Diabetes. Until recently, artificial sugars have been seen as viable alternatives to real sugar. Unlike natural sugar, artificial sugars such as Saccharine have no calories and are in beverages such as Diet Coke. Recently, however, scientists have begun to realize that artificial sugar may not be as harmless as expected, and may even be more damaging than natural sugars. Scientists studied the intake of artificial sugars with mice. They noticed that over the course of 11 weeks, both skinny and fat mice had abnormally high glucose levels in their blood. Although scientists tested the mice for various types of artificial sugars, they noticed that one kind in particular affected the mice, Saccharin. They then tested mice again, while only feeding them high levels of Saccharin in their diet, and in only 5 weeks were able to see a difference in the glucose levels in the mice. Next, the scientists studied microbes in mice’s intestines. The scientists noticed that the microbes in mice without Saccharin in their diets and mice with Saccharin in their diets varied greatly. Although it is not known why Saccharin has such an effect on mice, scientists continued the study on to humans and found similar results. They studied 40 people with high Saccharin intakes and compared them to 236 people who do not intake Saccharin noticed that people who intake Saccharin have more of a tendency to have “impaired glucose metabolism.” Even healthy people who begin to intake Saccharine almost immediately begin to experience different glucose metabolism. The reason why I chose this article is because the use of Artificial Sugars has always fascinated me. I have always been skeptical about drinking Diet Coke and other zero-calorie drinks because they seemed too good to be true. This article answered those questions for me. How do you feel about Artificial Sugars, such as Saccharin, after reading this? Is Fluoride the key to Healthy Teeth? Brushing your teeth daily is certainly a necessity. Just like the rest of our body, it is important to clean your teeth to prevent infection and decay. However the type of toothpaste that you use, especially, at a young age can affect the effectiveness of your results. Scientists have noted that brushing your teeth with fluoride tooth paste can be very beneficial to successful dental health for adults but also possibly for young children. 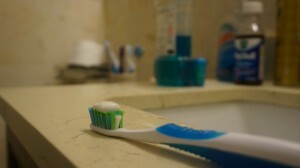 Based on a study led by J. Tim Wright, a pediatric dentist at the University of North Carolina School of Dentistry in Chapel Hill, the ADA now recommends that children’s teeth should be brushed with a smear of fluoride toothpaste as soon as they appear. Too much fluoride for a young one, however, can be detrimental and can lead to fluorosis. Studies have shown that risk of fluorosis for some permanent teeth peaks around age two, but fluorosis also comes from other sources as well such as water and some foods like fish. Therefore parents should be careful about using too much fluoridated toothpaste — a pretty common habit, studies have found. “People tend to think a little is good, more is better,” Wright says. Fluoride toothpaste is surely one way to prevent cavities in adults and it is looking promising as a way to reduce cavity amounts in young children as well. OUCH! : Why some people may be more sensitive to pain than others. Have you ever noticed that some people are more “sensitive” to pain than others? Many may wonder if a person’s sensitivity pain could be simply psychological or if there is a true genetic disposition to be more prone to pain. New research suggests that it IS a biological disposition that causes people to feel more pain than others! In the study, researchers asked 116 perfectly healthy people to rate the pain they felt when a small area of their skin was heated to 120 degrees Fahrenheit. After a few days of testing the subjects were placed in MRI machines. The findings of the MRIs, to the surprise of the researchers did indeed show a link between a persons sensitivity to pain and the thickness of a persons brain cortex, an area previously linked to attention control and introspection. What researchers discovered was that the thinner the cortex of these areas, the more sensitive people were to painful stimuli. According to Nichole Emerson, a graduate student at Wake Forest Baptist Medical Center, “Subjects with higher pain intensity ratings had less gray matter in brain regions that contribute to internal thoughts and control of attention”. These findings can not only explain the cause of pain, but also may lead to breakthrough in how doctors in the near and distant future treat patients suffering from chronic pain. The areas identified in the new study have been previously associated with resting or daydreaming; often referred to as “default mode”. This may explain why people with less gray matter area are more sensitive to pain. Default mode activity may compete with the brain activity that generates an experience of pain. In simpler terms, People who spend more time daydreaming may be less sensitive to pain. In addition to the grey matter of the brain, researchers also associated pain with the posterior parietal cortex (PPC). The PPC also plays an important role in how people maintain attention. People who can best keep their attention focused may also be best at keeping pain under control. Fluent in another language? 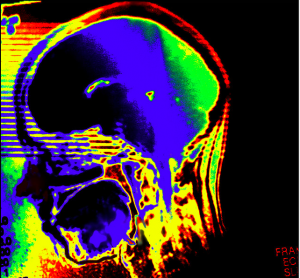 Studies show your brain will likely be stronger than average when you’re old! Researchers used fMRI’s to compare the brains of monolinguals to life-long bilinguals, “LLBL”, (people fluent in two languages since the age of at least 10) during various activities. Of the 110 participants, they found that mostly all monolinguals and LLBL preformed the same on tests that required simple memory, however on tests which required them to switch between activities, the older LLBL were much faster and quicker to respond than the older monolinguals. The researchers explained that the results they saw from the older generation of monolinguals and LLBL during the two main testing categories (simple memory and switching tasks), were about the same to the results of the younger generation that they tested in a different study. They concluded that the older LLBL’s experienced less activation in several frontal brain regions linked with effortful processing, meaning that the “older bilinguals used their brain more efficiently than the older monolinguals“. The scientists also explained that they are not sure if learning a language later in life will give a person the same cognitive benefits when they are older compared to a person who is a LLBL. They are also unsure if it’s the “knowledge of two languages that leads to benefits in aging or if there is some underlying characteristics that bilinguals have” which allows them to be more neurally efficient. The Black Mamba an Ally? As the fangs pierce the skin, passing through the epidermis and into the dermis, you may notice a feeble prick. Then, you will experience a numbness, similar to the one you get with pins and needles, and it will begin spread throughout your appendages. Within minutes your central nervous system will begin to shut down, leaving you without any hope of survival. Within a half hour, your body will be overcome by convulsions, paralysis, and eventually you will meet your end by suffocation. 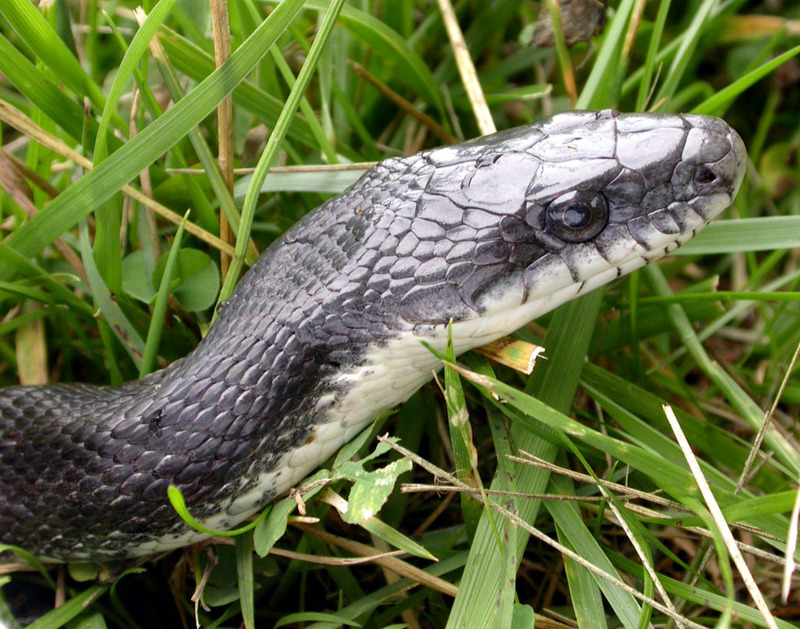 The Black Mamba, due to an assortment of different elements, including its aggressive behavior and its lethal venom, is possibly the deadliest species of snake on the planet. Untreated bites have a mortality rate of 100%. That, to me, is pretty convincing evidence.Recently, scientists have discovered “pain-relieving” compounds, known as peptides, within the venomous cocktail of the Black Mamba. The researchwas led by Sylvie Diochot, of the Institute of Molecular and Cellular Pharmacology at Nice University. She and her team, purified the peptides from the snake’s venom and profiled the compounds’ structure. These peptides are called mambalgins. The researchers were able to test the mambalgins on different strains of mice. The team of researchers concluded that the mambalgins work by blocking, or inhibiting, the ASICs, a set of neurological ion channels associated with pain signaling, in either the central or peripheral neurons. They also discovered that the mambalgins are not toxic, and can have the same, strong effect as morphine. Even better, mambalgins cause a significantly less amount of tolerance than morphine, and generate no risk of respiratory distress and other side effects that are prevalent with “pain-relieving” drugs.The discovery of these mambalgins may prove to be an enormous medical breakthrough. Due to the venom of perhaps the world’s most deadly snake, the insufferable pain of many human beings may be be abolished indefinitely. Strong viruses, such as HIV, make the body work for them. Researchers in Copenhagen have been studying how these viruses manage to take over the body. The virus takes over one cell and then uses the RNA to influence the DNA, giving the virus complete control over the cell. The RNA of the virus is similar to the RNA of the cell. Therefore, the ribosomes of the cell copy the sequence from the virus instead of the actual RNA. This causes the cell to produce the virus’ proteins. The RNA of the virus has what is called a pseudoknot. Pseudoknots are places on the RNA that the ribosomes must decipher before it can move on. The pseudoknot holds the sequence for key destructive proteins of the virus and once the ribosome deciphers it, those proteins are produced. This is how HIV can spread so rapidly in the body and can take such a hold over the host; it doesn’t do any of the work. My parents always told me eat my vegetables, but after reading a recent article, those vegetables they served me may not have provided all the health benefits my parents thought they would. The article talks about how for broccoli and other cruciferous vegetables (examples: cauliflower, cabbage, kale) one must eat the “real thing”, not a supplement. There are some cases where supplements, like in the form of pills and vitamins, are recommended because they are better absorbed as a supplement than through food (example would be folic acid for pregnant women). This is not the case for vegetables, which is not surprising to me. I was a little surprised at the fact that the way broccoli is cooked also affects the actual health benefits you receive from the vegetable. Since we are studying about enzymes I thought this article was good to look at because the researchers concluded that the reason broccoli and related vegetables need to come from the complete food to maximize their health value is because of an enzyme: myrosinase. This necessary enzyme is missing from most of the supplement forms of “glucosinolates” . Without myrosinase the research found, that the body actually absorbs five times less of one important compound and eight times less of another important compound (the article does not specifically address the names of those important compounds). By intensely cooking the broccoli at very high temperatures, essentially this important enzyme is lost and health value decreases greatly. 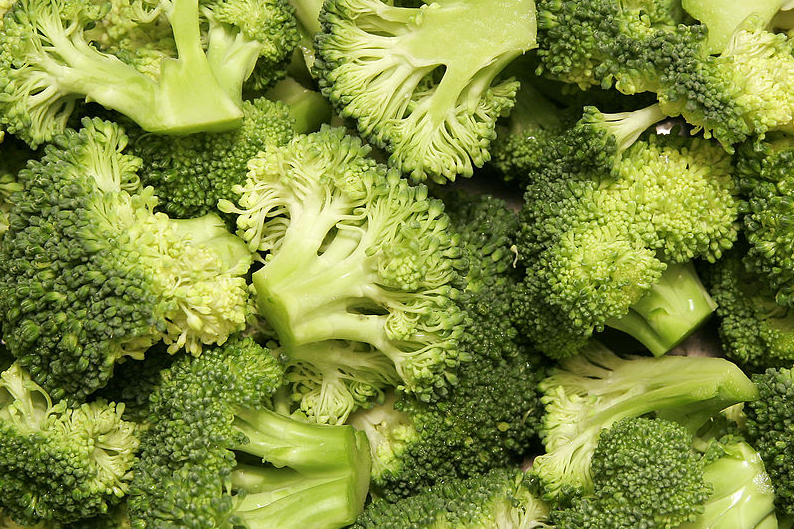 So if you are eating very mushy and soft broccoli, the actual health value is very low. This makes senses because at boiling temperatures enzymes are denatured. Essentially to maintain proper levels of the enzyme you want to cook the broccoli lightly for two or three minutes, or steam the broccoli until it’s still a little crunchy. Broccoli was of particular interest in this study because it contains the highest levels of certain glucosinolates (defined in the article as: “a class of phytochemicals that many believe may reduce the risk of prostate, breast, lung, and colorectal cancer). When you eat real broccoli instead of a supplement and do not cook it until it is soft, enzymes in the broccoli help to break down the glucosinolates into valuable compounds: sulforaphane and erucin. Both compounds are important, but in particular sulforaphane is relevant because it may help detoxify carcinogens and activate tumor suppressors genes. So if people want the real health benefits of broccoli and other vegetables like it, two simple guidelines to follow are: eat the real vegetable, and it either raw or very slightly cooked. For our next family meal I will probably ask to cook the vegetables. Are premature babies a precursor for autism? 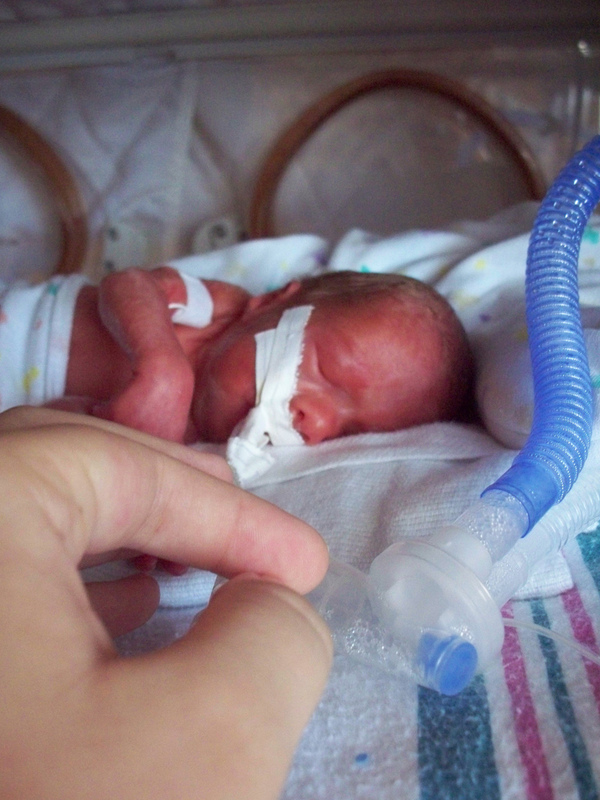 At one point in history premature babies were at a high risk of mortality. They’re organs are not fully developed and they can get very sick easily. However, now the cute less than four pound babies have a lower risk of morality because of improvements in science and technology. Nevertheless premature babies have a new problem to worry about. Current research at the University of Pennsylvania nursing school has confirmed that low birth weight has a strong connection with autism. This study was conducted between 1984 and 1987, 21 years, in certain counties in New Jersey. They followed 862 children from birth to young adults and found that five percent had autism spectrum disorders, the umbrella of autistic disorders like Aspergers disorder, Rett’s syndrome and Autistic disorder. Since some premature babies are not fully developed their brains might not have undergone full development in the cognitive and social parts of the brain. Dr. Pinto-Martin warned the public that “If there is suspicion of autism or a positive screening test for ASD, parents shold seek an evaluation for an ASD. Early intervention improves long-term outcome and can help these children both at school and at home”. What do you guys think? Is five percent of 832 children a good enough sign to say that premature babies and autism spectrum disorders have a link? Taking additional vitamins, or dietary supplements, has always been viewed as being positive for our diets. Parents often encourage their young children to take multi-vitamin pills on a daily basis. 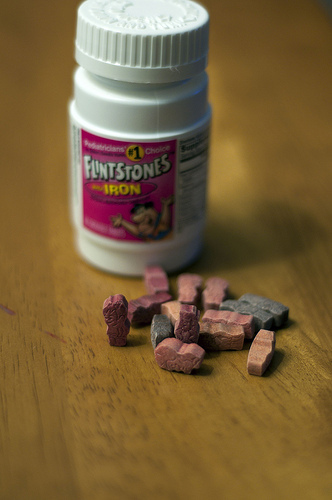 Flintstones Vitamins (above), which consist of vitamins such as iron, calcium, and vitamin C, are among one of the most popular multi-vitamin supplements. I even remember my parents making me take them every morning when I was a kid. 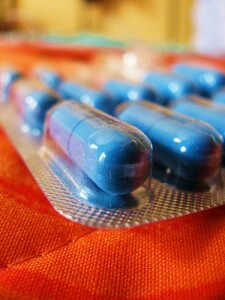 Many people continue to take these dietary supplements when they are adults. Daily vitamin supplements are also extremely popular among elderly people. The question is, do these vitamin pills truly have positive health benefits if consumed along side a normal diet? A recent study in the New York Times challenges these long-held beliefs behind dietary vitamin supplements. The scientists were also able to notice trends from their results that showed what effects the different supplements and multivitamins had on the women’s lives. For example, supplements like iron were “directly associated” with an increase in death among the women. Certain supplements like vitamin A & vitamin D had no affect at all on the women’s lives. Multivitamins were responsible for a 2.4 % increase in risk of death. Calcium supplements, however, actually decreased the risk of death. After a study like this one, it may be necessary to re-consider the notion that taking additional vitamins is a positive addition to our diets. Parents might now want to reconsider giving their child a Flintstone Vitamin with his breakfast every morning, and a grandmother might want to lay off the daily pills.